The Heritage Crafts Association is delighted to be working with Manchester School of Art on its forthcoming project, Endangered Crafts. Over the next nine weeks, students from across Unit X are being challenged to respond to the HCA Red List of Endangered Crafts. The list will be used by students as the starting point for creative response. Students will be tasked with developing contemporary objects, artefacts and artworks in response to the heritage craft skills, materials and processes identified in the Red List. It is also anticipated that students will draw out some of the rich heritage craft stories and narratives, as well as highlighting some of the pressing issues that place traditional skills under such threat. 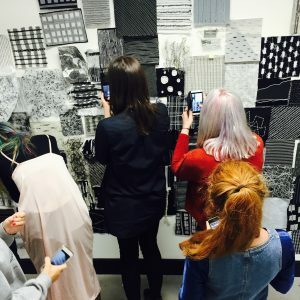 Manchester School of Art’s Unit X is an award-winning unit of study that brings together students from across the art school in collaborative activity. Working with external partners, Unit X provides an opportunity for students to experience real world scenarios through collaboration with external agencies. This year, the Endangered Crafts project brings together students from Three Dimensional Design, Textiles in Practice, Fine Art, Interactive Arts, Filmmaking, Interior Design and Fashion. Throughout the project, students will work in design teams, utilising skills already gained in ceramics, glass, metalwork, product design and digital design, as well as weave, print, embroidery, painting, sculpture and film making, to develop their projects. Outcomes are expected to be varied, vibrant and innovative; challenging creative norms and establishing new approaches to contemporary object making that is part of Manchester School of Art’s own rich heritage. The project will be launched on Monday 5 March 2018 with a keynote lecture delivered by HCA Trustee Greta Bertram, who will return in May to see the exhibition of final outcomes.